I’m not here to encourage you. Why do you want to be in women’s ministry? What is the point? I’ve had this conversation more than once. My answer is usually some variation of the same central idea. I want to encourage women. I want them to know that they are not alone. I want them to feel empowered and equipped in their current role, whatever it may look like. That is my heart. It’s what I want for every one who reads my words or hears me speak. Then, I sat and watched Billy Graham’s (likely) final message to the world last night. Was it encouraging? Yes. Did it make me want to jump up and down? Yes. But it was so much more. He had one last chance to speak to the world. One last chance to say something that might make a difference in people’s lives. And he said, “The cross.” Over and over in that thirty minute message – the cross, the cross, the cross. A well written blog post may make you smile or bring comfort. A women’s conference may give you a temporary high. The only thing which brings lasting change, however, is the cross. The reality that God poured his love out in such a way. That he deemed you worth – not worthy – but worth the blood of his son. It was not a message of “you can do this,” but just the opposite. You can’t do it, but God can. It reminded me of a statement made by a pastor when asked how he came up with new sermons week after week, month after month, year after year. “It’s not difficult,” he said. “I just take a passage of Scripture and run to the cross.” All roads lead to the cross. So, I’m rethinking this women’s ministry thing. I want to do it differently. I’m not here to encourage you. I don’t want you to just feel good for the moment. I want to take your hand and run to the cross. I want to point you to Christ and say, “There! There is the reason you can do this thing!” The cross. The savior. 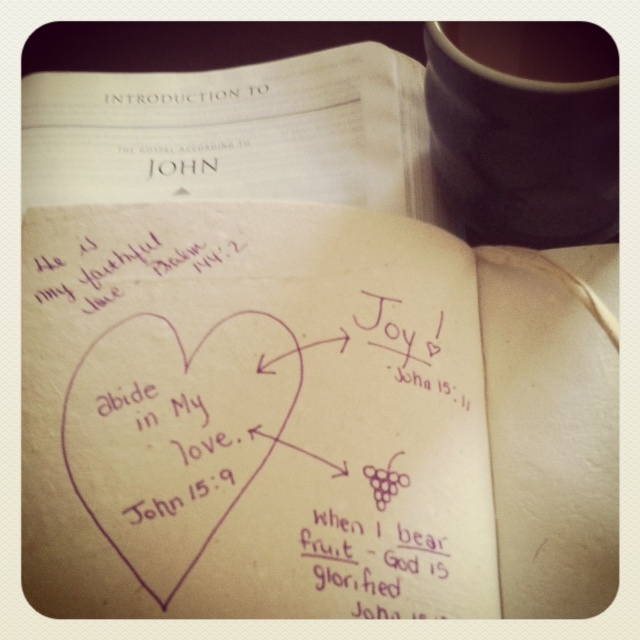 The love of God poured out. That is the reason you can do this single parent thing. Or difficult marriage. Or health issue. Or financial struggle. Or just plain life! Not because you read something online that made you feel good. But because Jesus did something that did not feel good, but made all the difference in the world. You are adored, my friends. Yes! I’m standing, shouting, and applauding!!! Thank you SO much for taking the time to comment. Have a wonderful day! True, my friend. We all want encouragement but as Christians we know that encouragement should always point to the Cross as you say. I didn’t watch it last night but was able to preview it earlier by DVD and it was powerful. Wade and I talked about how he knew it could be his last big “sermon” and so wanted it simple (the Cross!) yet poignant. I did not get to see it, wish I had. Awesome post! It really is that simple, in everything we do, in every way, for every reason, RUN to the cross! Have a wonderful weekend and THANK YOU for taking the time to read and comment. I really appreciate it! Oh great, thank you Stacy! I appreciate you and your servant’s heart! I always look forward to your posts! Yes! Yes! I watched that too and that one word “cross” means so much more than just a charm to wear around our necks. Great post. Thanks so much for stopping by! I’m so excited about the Hebrews launch. Hope to get to know you better! Where in KY?